Katie Sowers has been named an offensive assistant for the San Francisco 49ers and made history Tuesday, by publicly stating that she is a lesbian, making her the first openly LGBT coach in NFL history, according to The Washington Post which monitors these things. 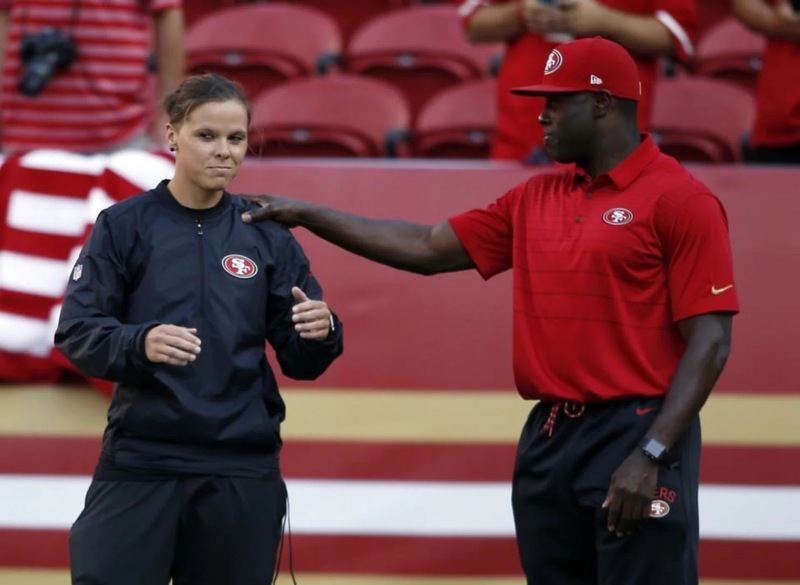 It is not believed there are any transgenders either playing or coaching in the NFL. A good coach is a good coach. Hope she is. Good luck Katie. Can't we do better than this? How about a coach who is lesbian, Muslim, one quarter cherokee and handi-abled?